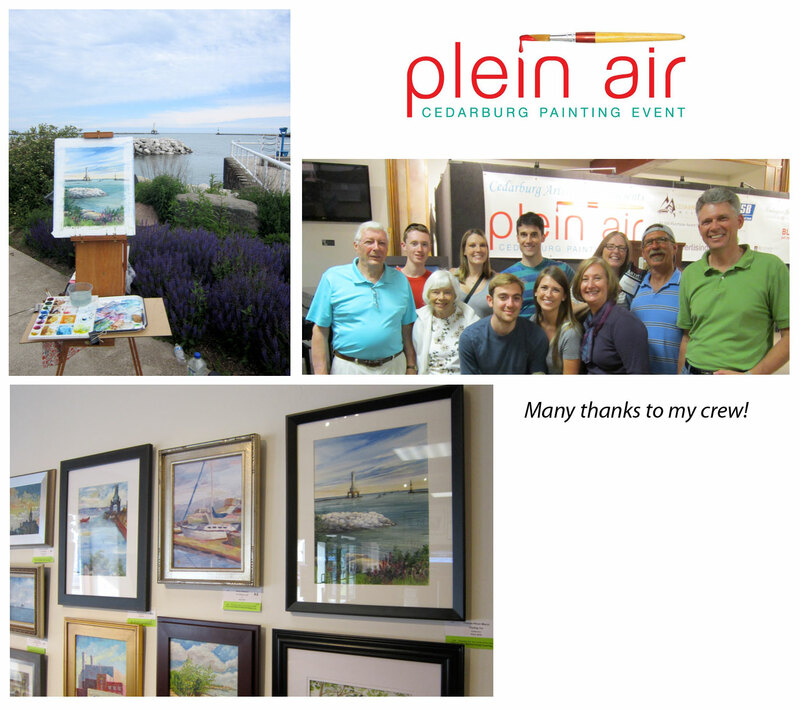 The annual Cedarburg Plein Air competition has quickly become one of my favorite events. 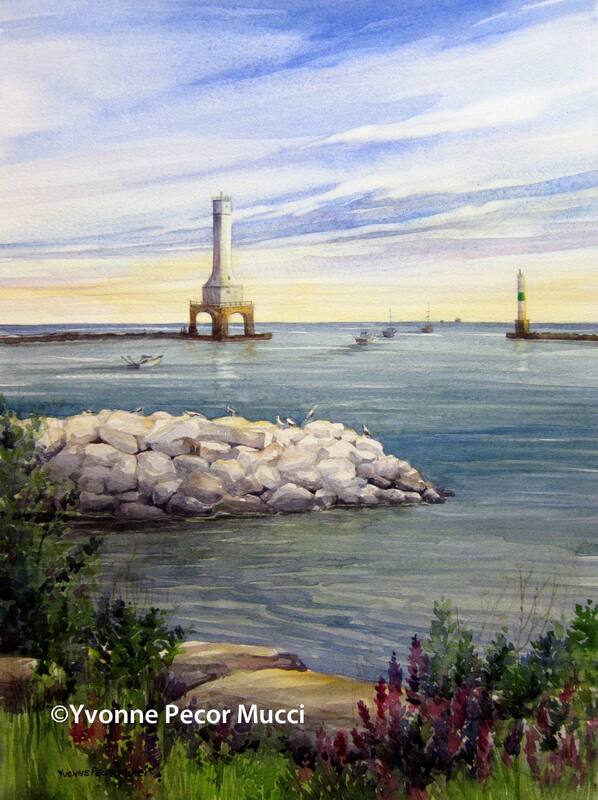 Port Washington, WI was the first of 8 days of painting en plein air. My nephew and I scouted this beautiful town and we both agreed that the subject matter had to include water and at least one of their two lighthouses. I started painting in the early morning as the last bits of orange and yellow left the sky. I was lucky to catch the fishing boats heading out onto Lake Michigan. The boats were back around lunchtime, but I didn’t wrap up till late in the day.